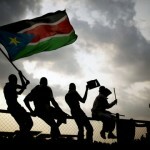 Reviving peace in South Sudan? What roles for women and for Canada? Location: FSS 4006, Pavillon des Sciences Sociales. 120, University Pvt. Presented by the CIPS Fragile States Research Network, in partnership with the South Sudanese community in Ottawa and the CIC/NCB Africa Study Group. Free. In English. Registration is not required but please come early as seating is limited. Though President Salva Kiir recently reiterated his government’s commitment to national dialogue and humanitarian access, South Sudan remains at war and the humanitarian crisis is descending into famine in parts of the country. What are the prospects for inclusive national dialogue and for reviving the 2015 Agreement on the Resolution of the Conflict in the Republic of South Sudan (ARCSS)? What roles are women and their networks playing in that regard – at the local, national and international levels? How could Canada support those efforts strategically? In the meantime, what can be done to save lives and avert a further degradation of the grave humanitarian situation? Angelina Teny: Chairperson of the National Committee for Security of the SPLM/SPLA in Opposition, focal point on sexual violence in conflict and member of the team that negotiated the 2015 ARCSS accord, Ms. Teny is one of the most senior women politicians in South Sudan.